The Man from U.N.C.L.E. ironwork for the film. Remember ‘The Man from U.N.C.L.E.’ films? I loved them! Well there’s a remake directed by Guy Ritchie coming very soon and we’ve made some bits for it! 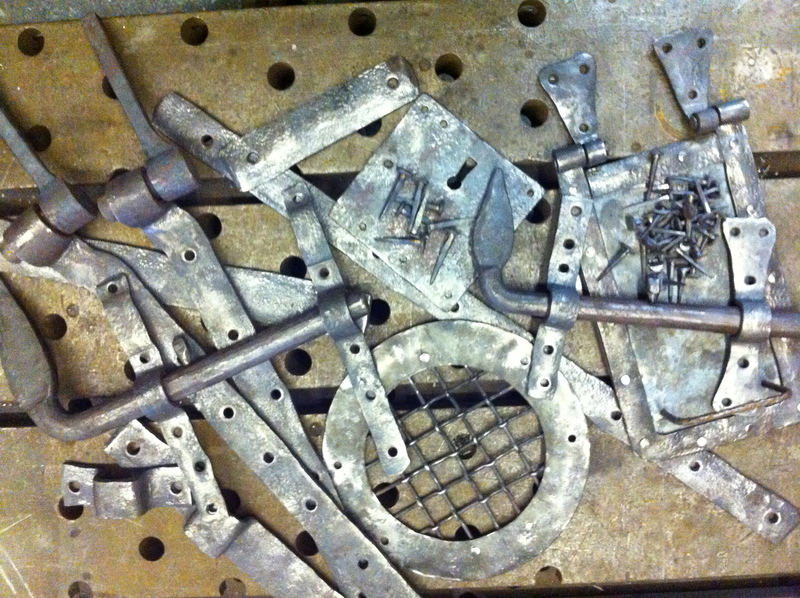 All the bits you see in the photo are made out re-forged ‘scrap’ billets, the texture, colour and extra working gives the perfect character for primitive cell door ironmongery….. which its for! We knew this was what the designers wanted…. because the drawing showed us. We made them for our usual designers; Julie makes our life really easy with her beautiful drawings, hand drawn and full size as they should be! The reason it makes it easy is because drawing by hand conveys texture, weight and character that CAD can’t…. long may they continue to do so. Previous Bread and Butter, Nuts and Bolts.